So, I like the left cover better. It’s the one that was delivered on my kindle, and I think it’s more legit than the right one. However, after reading the book, the right one kind of fits better with Celaena’s character. But the left is still way cooler. This book was highly recommended to me by a very good friend. She told me I would ABSOLUTELY LOVE this book and that I must read it immediately. 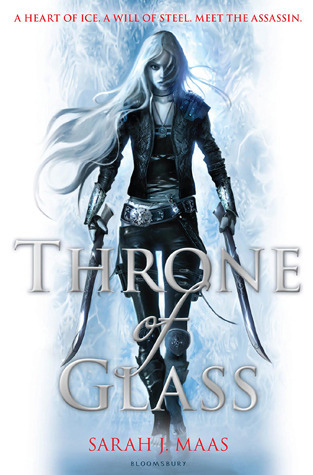 While I can safely say I did not ABSOLUTELY LOVE it, I was highly entertained by Throne of Glass and found myself having a harder and harder time putting it down. It grabbed a hold of you right from the beginning and didn’t let you go. And I’m usually pretty tough on the first few chapters of books, which is probably unfair, since you have to go through introducing the characters and the world, and that isn’t necessarily accompanied by plot heavy scenes. But Throne of Glass drags you right into the story. It literally starts with Prince Dorian pulling world-renowned assassin Celaena Sardothien out of a prison labor camp to participate in a competition to find the most worthy warrior/assassin for his father, the king. Sadly, this book was marred. By a love triangle. A love triangle that was less than pleasant to read. Dorian was dreamy. We got it. That was about all he had going for him. And he read lots of books. Yay. Chaol Westfall, the young, dashing, captain of the guard was FAR more interesting. If you’ve read Richelle Mead’s fabulous “Vampire Academy” series, Chaol reminded me of Dimitri. He was in charge of training Celaena, and they had many deep, important, heart-to-heart chats. Chaol went from practically loathing the assassin to finding himself infuriatingly protective of her. He doesn’t even realize it’s happening until too late. Their chemistry is so much more convincing than the stupid butterflies Celaena gets when she gazes at dreamy Dorian. I usually don’t end up liking the guy the heroine DOESN’T get with. I’m hoping I’m not wrong in this series. Don’t get me wrong, Dorian isn’t a terrible character or anything. I just think Chaol is much better for Celaena. Celaena. I didn’t mind her character. Some reviews I’ve read were really hard on her. She doesn’t seem to have a very consistent character, though. Half the time she’s thinking about killing people and violence and such, and then she turns around and thinks about how frilly she wants her dress to be. I mean, there’s nothing wrong with wanting to look good. It just seems that she spent an inordinate amount of time trying to convince the reader of her cool and calculating and violent mindset, and not enough time proving it. I am fully expecting some comfort scenes between Chaol and Celaena in the sequel dealing with the torture she endured at Endovier (the labor camp). I mean, she obviously still struggles with it. It felt like Maas was just setting that up for us, and when it didn’t happen (except for a very short, practically non-existent scene) I was slightly disappointed. I didn’t trust Nehemia from the start. I knew she was up to more than she let on. I liked her storyline and how it played out; it added a whole other layer to the story, rather than just the champions and the tests. It also provided another character to have scenes with Celaena. You were constantly wondering who she was, why she was at the palace, and what her ulterior motives were. There were other minor characters who I didn’t care much about: The King, Lady Kaltain, Duke Perrington, the other ‘champions’. I didn’t hate them or anything, I just didn’t feel one way or another about them. They were all antagonists, so they did annoying things. However, the tests and duels between all the different champions were entertaining. I enjoyed Celaena’s alliance with the Thief named “Nox”. It made complete sense to me that someone else in the competition would be a slightly good person and want to be friends with our heroine. 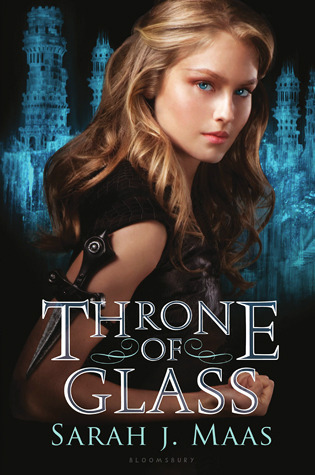 I’ve read that I need to get the prequels to understand some of what happened in Throne of Glass. That makes me feel better because I got to the end of the book and had questions that seemed like things that should have been answered. I’m hoping to get those questions answered by reading the prequels. I am very excited to read the sequel, but I have some reservations going in because of the love triangle. Don’t let me down Maas! !